We won’t sleep until you are 100% satisfied. This is your guitar, we build it to your specifications. If you are not completely satisfied with your purchase, let us know and we’ll move heaven and earth to make sure you are. Our commitment to this promise is what makes us who we are. 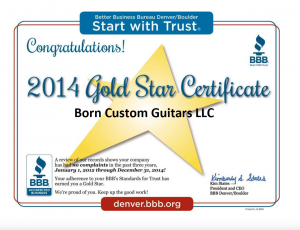 We are so confident that you will love everything about your new Born guitar, we give you a limited lifetime warranty. 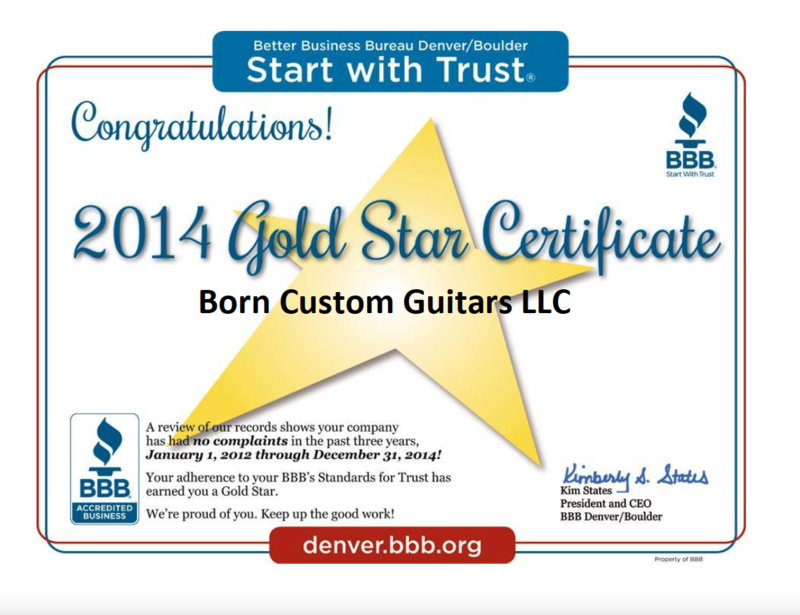 That means we stand behind these great guitars and promise that you will receive your guitar exactly how you ordered it, free from manufacturer’s defects, and that it plays and sounds fantastic. For complete information on our Born Limited Lifetime Warranty, please click here.